We’ll open tonight’s discussion with a talk about the recent mass shooting in San Bernardino then follow with a discussion about Black Friday. The day after Thanksgiving has come to be known as “Black Friday,” the day where retailers who have been in the red recoup losses, profitable businesses increase their profit margins, and consumers supposedly get “great deals and bargains” on almost anything imaginable for purchase. Black Friday has also been espoused by many in financial and political circles as an indicator of economic health and growth in this country, encouraging Americans (often with almost patriotic fervor) to do their “duty” by frequenting shopping malls across the nation. These days, Black Friday usually begins on Thanksgiving Thursday (and even earlier in some locales), with stores opening their doors earlier and earlier. Hoards of spending-crazy citizens line up at the doors, eager to charge through in hopes of landing some great bargain. People have actually died after falling and being trampled, while countless others get into fights over merchandise. Has Black Friday evolved into a symbol of greed and cultural decline in America? Perhaps the answer can be found in the fact we now have Cyber Monday as well! JOIN Barb and John as they discuss Black Friday: Symbol of Greed in America. Joining the show during the second hour is author and “Psychic Bystander,” Louisa Oakley Green. Louisa will be discussing her recently released book, Sightseeing in the Undiscovered Country: Tales Retold by a Psychic Bystander. How would you feel if your child told you they had a playmate who died years earlier in a fire? Do you think it’s possible to know who you’re going to marry from a simple handshake? If you could read the energy in a home, would it make it harder to buy your first house? Sightseeing in the Undiscovered Country retells true paranormal stories that will lift you out of your everyday existence and open a doorway into a new, inspirational way of experiencing life. The field of paranormal investigation is still in its early stages, but it appears we are working our way toward a better understanding of the “invisible world” around us through the efforts of scientific research combined with people who are willing to share their extraordinary experiences. 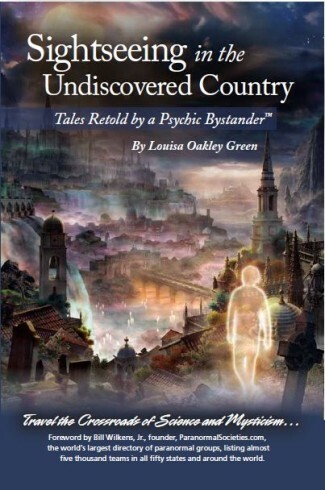 Such is the basis for Louisa’s new book, Sightseeing in the Undiscovered Country, a compilation of psychic tales from everyday people working in a variety of fields as well as scientific studies into consciousness, near-death experiences, and reincarnation. Included in the book are three of my own stories and experiences! Known as the “Psychic Bystander,” Louisa Oakley Green has worked as a newspaper reporter, public relations manager, and creative director. A University of South Carolina journalism graduate, Green also studied science for medical writing in New Jersey and traditional astrology in London. She previously published one other book, Loitering at the Gate to Eternity: Memoirs of a Psychic Bystander. Louisa’s work and interests maintain a curiosity-inspired balance between science and mysticism. For more information, visit http://psychicbystander.com. 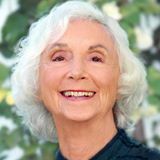 Visionary, social innovator and the world’s foremost global ambassador for conscious change, Barbara Marx Hubbard, joins the show during the final hour to discuss her latest work, The Evolutionary Testament of Co-Creation: The Promise Will Be Kept. From the beginning of time, humans have been trying to figure out the purpose of Life and their relation to it. Many have sought meaning in the sacred texts of the world’s many religions, including the New Testament of the Bible, which centers on the life and teachings of Jesus Christ. One statement by Jesus, however, may hold the key to our collective future, “You will do the works that I do, and greater works will you do in the fullness of time.” Are we moving from self-consciousness to the dawn of co-creative consciousness, bringing forth a New Earth, new heavens and new worlds in realizing our full potential? Barbara Marx Hubbard’s extraordinary book, The Evolutionary Testament of Co-Creation, offers an evolutionary, future-oriented perspective to the Gospels of Jesus Christ. She reveals that many of the miracles Jesus performed are actually similar to those acts that we currently aspire to achieve today, but so often without consciousness of Christ love. She believes The Promise is being kept and that we are all being changed. We have the power of what we called gods. We can destroy the world and we also can restore the Earth, evolve ourselves and all of society. At heart, Barbara is a visionary and social innovator. She thinks from an evolutionary perspective and believes that global change happens when we work collectively and selflessly for the greater good. 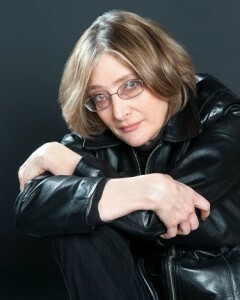 A prolific author and educator, Barbara has written seven books on social and planetary evolution. She has produced, hosted, and contributed to countless documentaries seen by millions around the world. In 1984, Barbara’s name was placed in nomination for the Vice Presidency of the United States on the Democratic Party ticket. In addition, she co-founded the World Future Society and the Association for Global New Thought. Barbara Marx Hubbard is not an idealist, nor does she believe that social and planetary change is simple. What she does believe is that humanity has the tools, fortitude, and resolve to take the leap towards conscious evolution. For more information, visit http://barbaramarxhubbard.com.